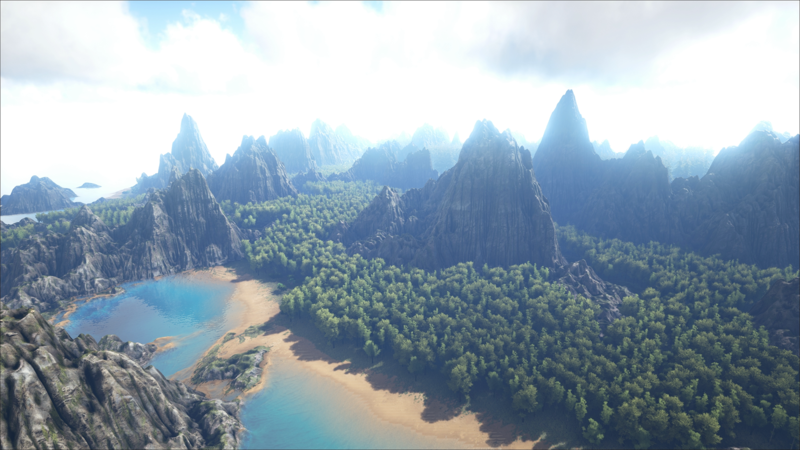 Ark: Survival Evolved is all about crafting and surviving, and you’re going to need to become familiar with the various resources and their uses if you want to last. Monitoring your character’s stats is a job in itself when you first start out, so efficient harvesting is key. Our engrams guide is a great way to plan out what you need to harvest and where to go in search of materials, and to check which tools are best suited for gathering which materials. The higher your level, the better recipes you can unlock for more efficient harvesting, so swing by our character levelling guide for more on how to do that. At first, you’ll be doing your own dirty work, but eventually, you can recruit dino friends to help you gather materials. Check out our dinosaur taming guide for more info. Resources will respawn, so you don’t have to worry about relocating once you’ve sucked the land dry of its bounty, although they won’t respawn in the immediate vicinity of any foundations you’ve laid. Check out out 9 essential tips for starting out for more handy pointers. When you start out, you can pick up stone from the ground, and fiber from bushes. You can punch trees for wood but you should only get enough to build a Stone Pick, as bashing trees with your bare fists is detrimental to your health. As a general rule, the Stone Pick is best suited for getting flint from rocks, thatch from trees, and meat from bodies. Once you unlock and craft the Stone Hatchet, you should use it to get wood from trees, stone from rocks, and hide from bodies. Upgrade your tools to the metal versions to increase the amount of resources gathered. Eventually you’ll need to start gathering materials like obsidian, crystal, and oil. You’ll have advanced enough by this point that taming dinosaurs is a cinch. 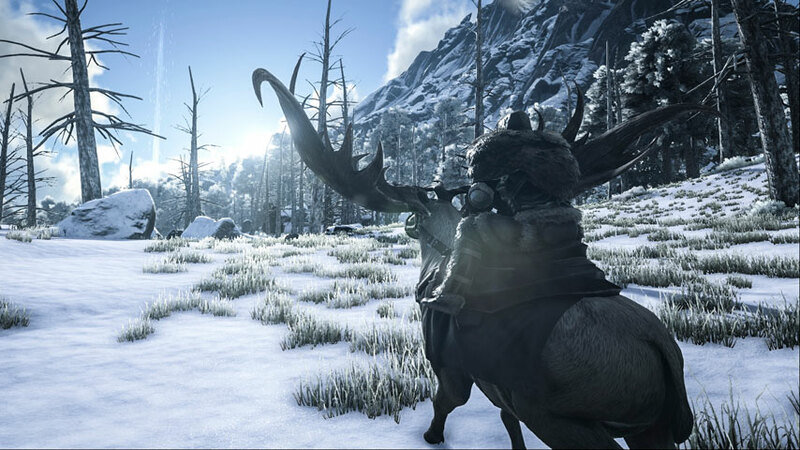 You should start to tame animals that are going to be of use for resource gathering. Mammoths are the best for gathering wood, while larger dinos like the Triceratops will harvest thatch from trees. Therizinosaurs are perfect for foraging fiber. The Doedicurus excels at gathering stone, while the Ankylosaurus is the bees knees for gathering flint, metal, crystal, rare mushrooms, and rare flowers. They’re not too bad at gathering oil and obsidian either. Focus on a few good all-rounders to take the pressure off when it comes to harvesting materials. These are just some of the raw resources you’ll come across, but knowing where to find them and how to efficiently harvest them will give you a head start on crafting, and planning which animals to tame for your dino workforce.